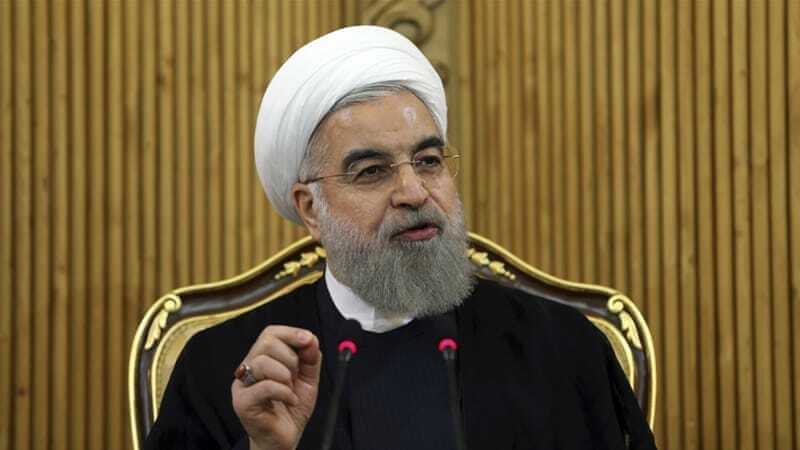 Tehran, Dec 11: Iranian President Hassan Rouhani said on Sunday that Iran could restore its relations with Saudi Arabia should the kingdom end its "friendship" with Israel. Tehran would "have no problem" with Riyadh if it stops "bowing to Israel" and relies on itself, Rouhani said at a parliamental meeting, Xinhua reported. "We want Saudi Arabia to stop two things, the misguided friendship with Israel and the inhuman bombardment of Yemen," he stressed. The firing of a ballistic missile at Riyadh by the Houthis last month led to renewed tensions between Saudi Arabia and Iran. Rouhani's remarks came amid media reports that Riyadh has been seeking closer ties with Israel in a bid to counter the rising influence of Iran, a common enemy to Saudi and Israel. On November 25, Saudi Crown Prince Mohammed bin Salman compared Iran's growing regional influence to Germany's hegemonic policies in the Hitler era. "We learned from Europe that appeasement would not work. We do not want the 'new Hitler' of Iran to repeat what happened in Europe in the Middle East," he said. The Houthis have seized control of much of Yemen's northern areas, including the capital Sanaa since 2014.